Name recognition is not an asset in presidential campaigns. I mentioned this last week, but I stuck it at the end of a longer post, so I'll repeat it here. Name recognition is, in fact, important in American politics. But its importance is limited to contexts in which there are significant gaps between how well candidates are known. That happens all the time in House contests, and even in elections for Senate or governor, and it certainly happens in downballot races. But not in presidential elections. At least not among major candidates. [D]espite his weaknesses as a candidate, he also brings a number of advantages. 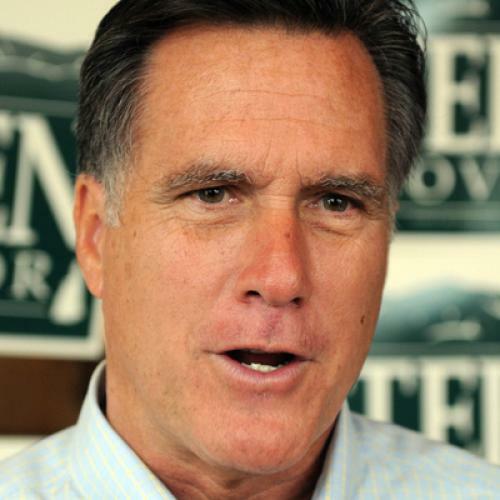 Romney would enter the race with far higher name recognition than he did his first time around and a broad national political organization that has been building up good will by helping Republican candidates in key states. He also enjoys a vast fundraising network. He's correct about the importance of a national organization, good will among GOP pols, and the fundraising network. Those are good points. But name recognition? Nope. Look, no one right now knows who Tim Pawlenty or Mike Pence is. So if you take a poll, they'll lag behind--they're behind, for example, formerly famous person Newt Gingrich. And both of them may wash out as presidential candidates; in fact, I give Pence little chance of winning. However, the public portion of the campaign is starting now. Candidates are starting to travel to Iowa and New Hampshire. They'll soon start advertising in those states, appearing on local TV and radio, and spreading hired staff and volunteers around. The national public campaign is beginning, as well; candidates are turning up on conservative talk shows, and in spring 2011 debates will begin. Endorsements will follow. All of that will produce plenty of name recognition for those who do well at those stages. If Pawlenty and Pence do what they need to do to win this year, then by February 2012 they'll be well known among Republican caucus-goers in Iowa. If they do what they need to do this year and in Iowa, they'll be well known among Republican primary voters in New Hampshire. And if they do what they need to do this year, in Iowa, and in New Hampshire, they'll be well known nationally--just as unknown Gary Hart became well known after winning in New Hampshire, just as Bill Clinton went from unknown to having 100% name recognition over the year ending with the New Hampshire primary. Of course, if they don't do those things, they'll remain unknowns, and their campaigns will not last long (although even there, I suspect that name recognition for also-rans in Iowa is pretty high; I'd guess that most people who bothered to show up on caucus night in 2008 knew about Fred Thompson or Bill Richardson, and probably even Duncan Hunter or Mike Gravel). Once you get to Super Tuesday, name recognition can be the immediate explanation for why the also-rans remain also-rans--or why they drop out. But those who do succeed early will receive (and generate) plenty of publicity, more than enough to make them household names. So, when you do see early primary polling, remember that name recognition is a big factor in the results so far--and that by the time the voters get involved, that factor will wash out.